ThermoFlow 600 Chopped Strands are designed to provide improved as-molded mechanical performance. Johns Manville (JM) has launched a new chopped strand for PBT/PET reinforcement. ThermoFlow 600 Chopped Strands are designed to provide improved as-molded mechanical performance in PBT/PET as well as improved flow performance for complex shapes used in electronics. The material also reportedly has improved color performance after aging for consumer applications. ‘ThermoFlow 600+ was developed in close cooperation with compounders and builds on JM’s 50 years of reinforcement expertise in Europe,’ said Jared Cox, global chopped strands product manager. This story is reprinted from material from Johns Manville, with editorial changes made by Materials Today. The views expressed in this article do not necessarily represent those of Elsevier. 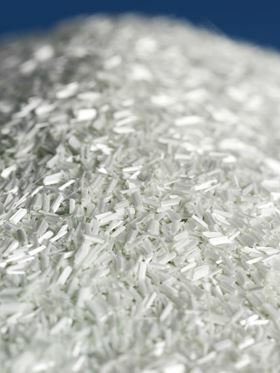 Johns Manville (JM) reports that its plant in Slovakia has received certification for its continuous filament glass fiber (CFGF).